Mary Ellen Pinckney Gray, fondly called “Mae”, is a native of McClellanville, South Carolina. She is the fifth of six children of the late Olin and Katherine Pinckney. Mary is a graduate from Lang High School in South Carolina, after graduating she move to Baltimore, Maryland, where she studied at City Hospital (Johns Hopkins Bayview) for nursing, she received a certificate in home nursing. She was later called to work for the Social Security Administration in Woodlawn, Md. and Health Care Financial Administration, (Center for Medicare and Medicaid Services). She retired after 32 years of service. Mary continued her studies at Virginia Union University and Hampton University. Her Christian journey began at Greater St. Peters A.M.E Church, South Carolina. When she moved to Baltimore she joined the Pennsylvania Avenue A.M.E. Zion Church and Mt. Ararat Baptist Church. On June 30, 1962, she married the Rev. Dr. James B. Gray, Jr. on WEBB radio station. From this union, Marvella was born in 1966. In 1971, along with her husband, they were called to the Pleasant Zion Baptist Church. 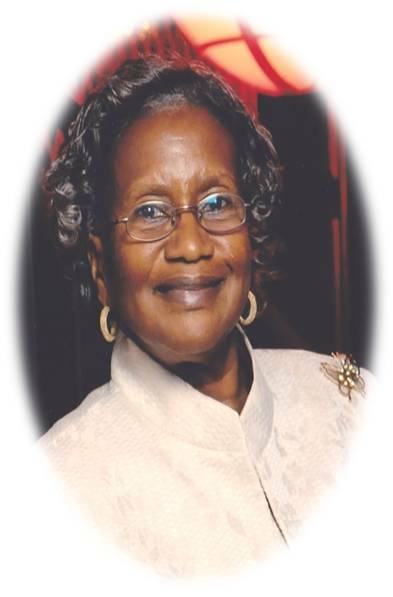 She was appointed by Pastor Gray as one of the mothers of the church. First Lady participates in several ministries: Deaconess Ministry, Missionary Ministry (president); Program Ministry; Inspirational Choir, Nurses Ministry; and Scholarship Ministry (president). Our energetic First Lady works with the Pleasant Zion Outreach Center, Inc.'s Helping Hand Program in distributing food to the disadvantage every week. She is affiliated with many organizations: president of United Missionary Fellowship (Pleasant Zion Baptist, Galilee Baptist, and New Mount Olive Baptist Church); life member of the International Association of Ministers’ Wives and Ministers’ Inc.; past president of Maryland Association of Ministers’ Wives and Ministers’ Widows; executive board chairperson for the Greater Baltimore Ministers’ Wives and Ministers’ Widows Fellowship, Inc.; and member of the Women’s Auxiliary of the United Missionary Baptist Convention of Maryland, Inc and the Women’ Auxiliary of National Baptist Convention, Inc.